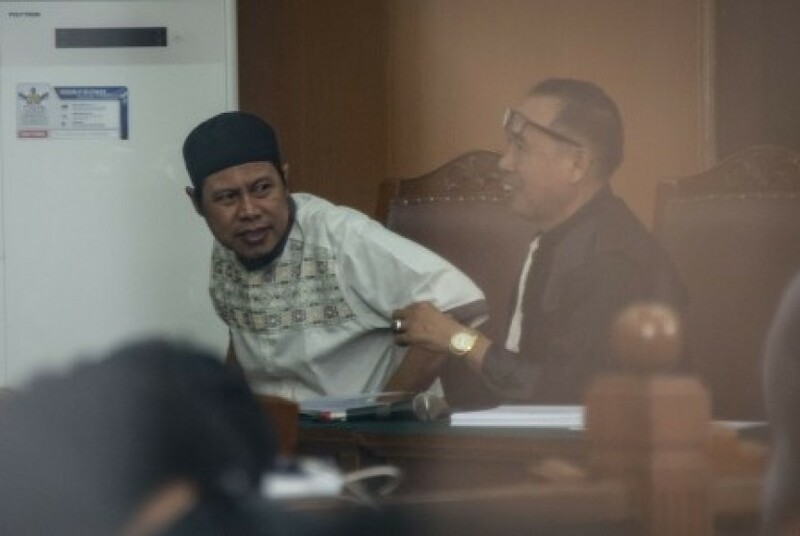 JAD leader Zainal Anshori alias Abu Fahry alias Qomaruddin bin M Ali (left) attends inaugural session of the hearing to disband Jamaah Ansharut Daulah (JAD) at South Jakarta District Court, Jakarta, Tuesday (July 24). 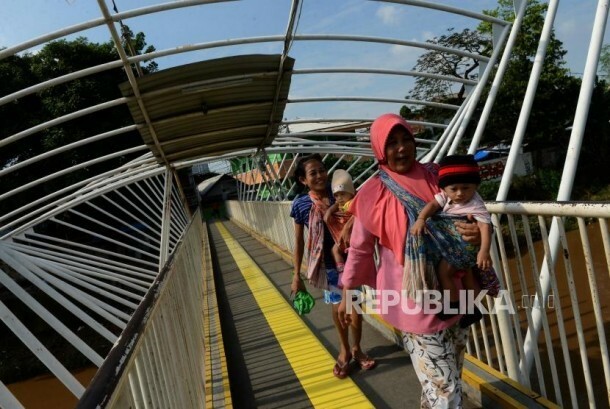 Dalam sidang tersebut, JAD didakwa sebagai kelompok yang menggerakan teror di Indonesia dan telah menyebabkan jatuhnya korban jiwa dan kerusakan objek vital. Jamaah Ansharut Daulah was responsible to a series of bombings in Indonesia. 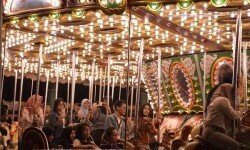 REPUBLIKA.CO.ID, JAKARTA — Panel of judges at South Jakarta District Court decided to ban Jamaah Ansharut Daulah (JAD) on Tuesday (July 31). JAD led by its leader Zainal Anshori aka Abu Fahry aka Qomaruddin bin M. Ali was stated as forbidden organization, after it was sentenced as corporation of terrorist network. 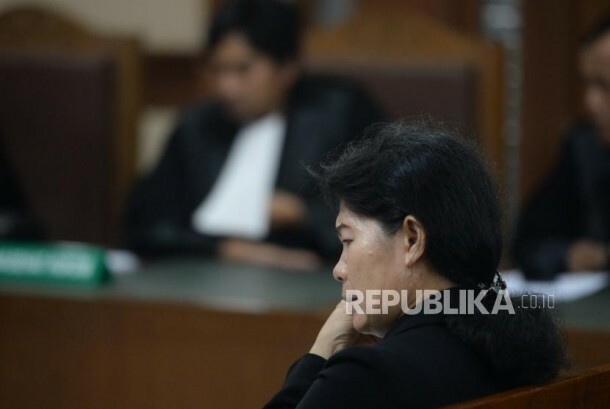 JAD also was sentenced a fine Rp 5 million and stated as forbidden corporation that affiliated with ISIS group. 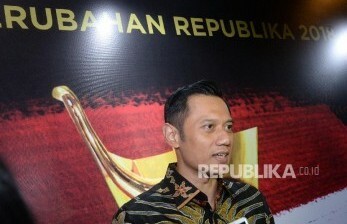 Presiding judge Aris Bawono asserted JAD legally convinced to violate Article 17 paragraph 1 and paragraph 2 juncto Article 6 Government Regulation in Lieu of Law No. 1/2002 on Eradication of Terrorism, as already stipulated in Law No.15/2003. "Our decision against JAD is same as public prosecutor's demand,” said Aris. Meanwhile, JAD lawyer, Asludin hatjani said his party will not file an appeal. He has coordinated with Zainal Anshori to accept the verdict. “Zainal Anshori said we don’t need to take an appeal because it will be useless,” Asludin said. Public Prosecutor Heri Jerman who charged JAD as corporation of terrorist network said he will learn the whole decision from judges. He admitted that panel judges entire decision was in accordance with his demands. 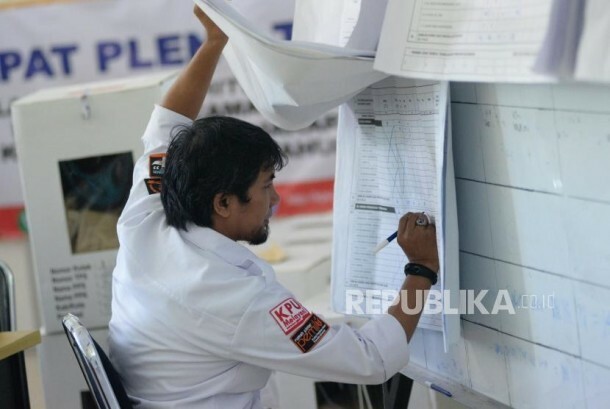 “I will learn the whole decision first and determine prosecutor's stance within one to two days,” Heri said. Head of Police Public Relations Division Inspector General of Police Setyo Wasisto lauded the court's decision. He believed the ruling will paved the pace of the police to combat terrorism crime. "The dissolution of JAD to eases the police to prosecute people or groups affiliated to JAD, ISIS, Daesh, or ISIL" he said in Jakarta on Tuesday. JAD was known as an extremist network responsible for a series of deadly terror attacks, including Thamrin (Jakarta) bombing in 2016, Samarinda (East Kalimantan) church bombing in 2016, Kampung Melayu (Jakarta) bombing in 2017, a wave of of suicide bombings in Surabaya (East Java) in May 2018, and terror attack to Indramayu Police station (West Java) in June 2018.